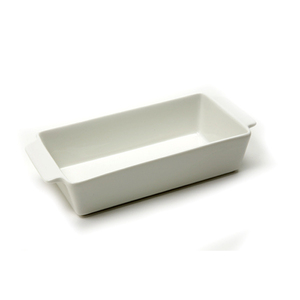 Baking Dish 9.5" x 4.5"
Home > Kitchenware > Bakeware > Baking Dish 9.5" x 4.5"
Ceramic Baking Dish. Measures 9.5" x 4.5" x 2". Ceramic. Dishwasher, microwave, oven, and freezer safe.